Throughout your lifetime, you have probably had many mentors. You may not have recognized them as such, but guidance counsellors, sports coaches, and career managers are all types of mentors. If you are planning for retirement, you may also have a financial planner. If you are trying to get into physical shape, you may have a personal trainer. All of these people did or are helping you achieve some sort of objective. But what about your goals for happiness and satisfaction in the second half of your life? A midlife mentor can help you find purpose in what can become the most satisfying years of your life. Admittedly, when I was younger, I thought fifty was old and that I would have it “all together”. What that meant to me was that I would know where I was going, what I was doing and how I was going to achieve that. In other words, I thought I would have all the answers. When I reached middle age and I realised that I didn’t, I had an over-whelming feeling of being stuck, bored and agitated with life. I began to grasp on to the idea that I needed to make major life changes to make me happy. A midlife mentor helped me recognize that change can be good, but they have to be the right changes. I’m not sure why I believed that things would just fall into place for me in some cosmic natural rhythm, that somehow the life I wanted would just fall into my lap. Up to this point in my life, I had to focus on what I wanted and make clear goals and plans to be successful. I looked to others that I thought had already taken this path and took advice from them. But now, I was expecting myself to have all the answers. Why was I approaching middle age completely contrary to everything I had done before? Again, this comes back to feeling like at this age, one should have all the answers. Maybe some do, but I don’t. And that’s ok. What’s not ok, is spinning around in a circle, trying to find an answer when the person right next to me may have already figured out that part of the journey I wish to take. 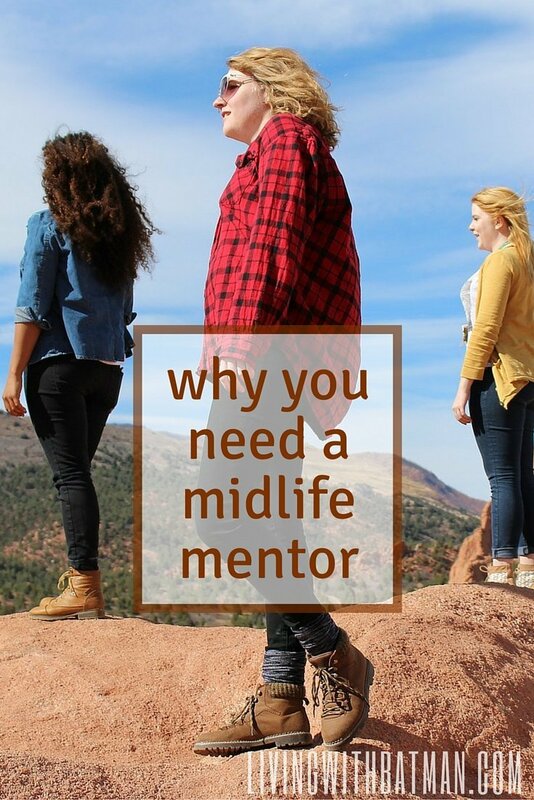 If you are feeling like you are lacking purpose and direction, I strongly suggest you find yourself a midlife mentor. They can help you in so many ways. 1. Helps you decide what you really want from life. 2. Helps you set achievable goals. 3. Helps you recognize unattainable goals that are clouding your focus and hindering your progress. 4. 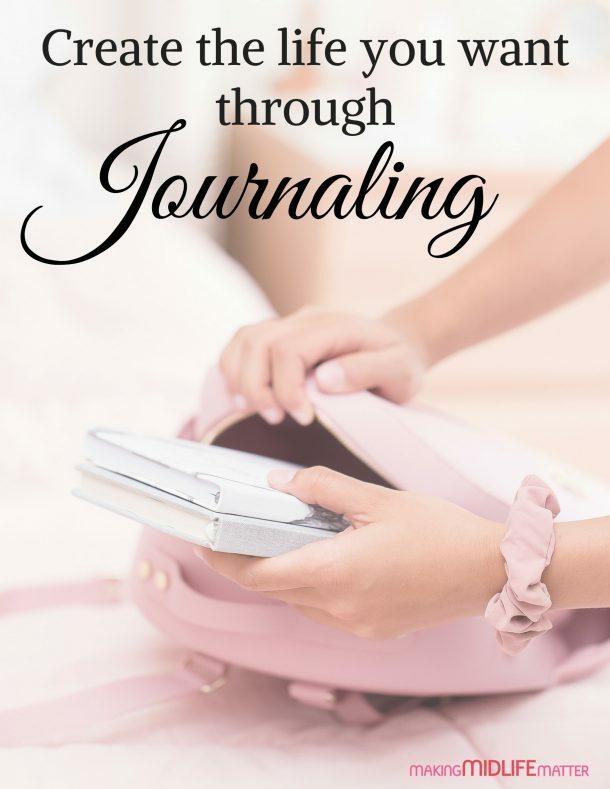 Helps you navigate a path that they have already taken with inspiration and wisdom. 5. Encourages you to go outside your comfort level. 6. Makes you accountable to yourself. 7. Helps you continually reassess your vision as it pertains to your goal. 8. Becomes your own personal cheerleader but also makes you strive for more. 9. Does not let you dwell on missteps and helps you adjust your plans for success. 10. Helps you set a pace that is both challenging but feasible. 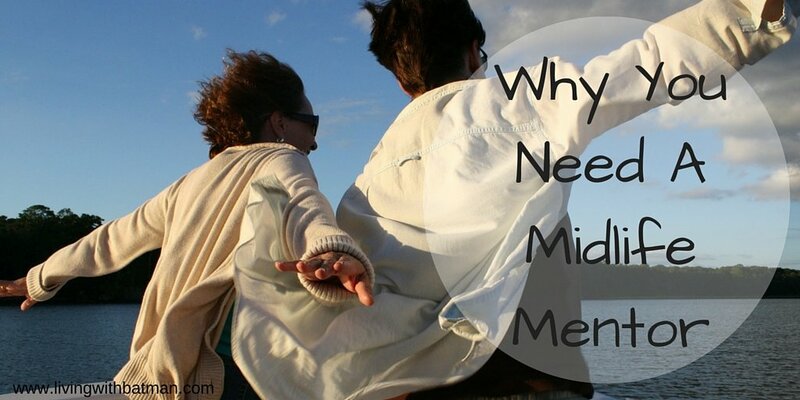 Do you have a midlife mentor? Share in comments how they have helped you achieve your dreams, goals or increase your happiness factor.